How use ViewModelFactory with Multibindings. 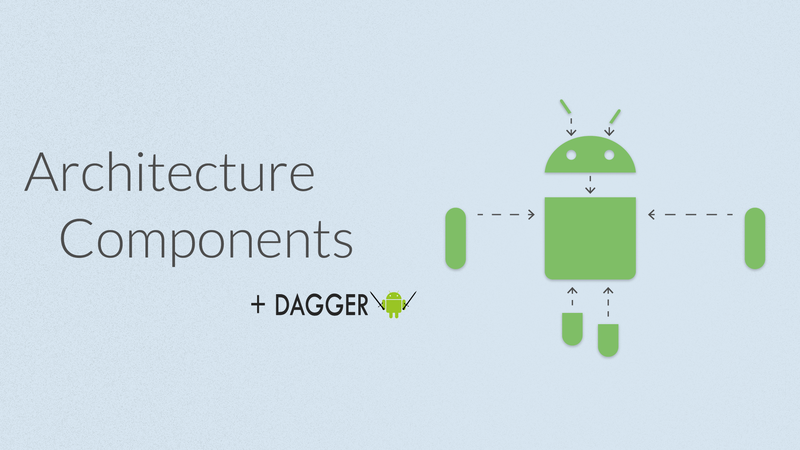 From the past Google IO 2017 we having a new set of tools called Android Architecture Components, I have just spoken about one of them (Room) in a past article, today i want to speak about the ViewModel. I will not write what is a ViewModel, there are many articles about it, in this article i will explain how integrate it with Dagger without boilerplate code, and how create a scalable way to manage your ViewModel Factory with Multibindings. To instantiate a ViewModel you need a ViewModelFactory: it’s a class that implements ViewModelProvider.Factory and it will create the ViewModel from a parameter .class. when you invoke the get() method the ViewModelProvider call the create() method of the ViewModel Factory and by the class type the method return the instance of ViewModel. So if we create a new ViewModel we need to edit this class or to create a new ViewModelFactory to manage the new one. What is the problem? If you want to use this ViewModelFactory with different ViewModels, with different constructor argument i will be obliged to pass all parameters from the ViewModelFactory, the result will be a class not scalable and very difficult to use. Now to bind ViewModel and create these Map we need the multibindings and to do it we will use a specific annotation, we will call it ViewModelKey, it’s represents the key of our map. 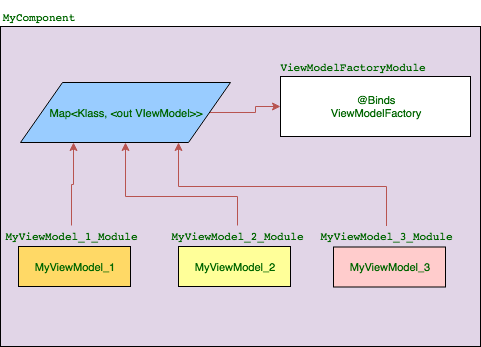 The combination of Binds, IntoMap and the Target annotation (ViewModelKey) we create an entry inside our map with Key: MyViewModel::class and value MyViewModel instance. Now we can use it inside out activity or fragment. With Dagger Multibindings we can create a unique ViewModel Factory that provides all kind of ViewModel we need based from the modules inside the component. These solution is very scalable, because if we create a new ViewModel for a new section of our application we will need only to create a Component with the same ViewModelFactoryModule and the new Module that will provide the new ViewModel. I hope I helped you, if you have questions please let me know!